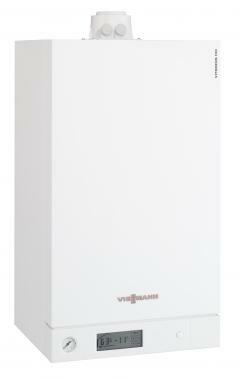 B1HC Vitodens 100-W is a System Gas boiler that is available in 19, 26, 30 & 35kW. It includes 5 years warranty as standard (with the opportunity to extend to 10 years) and a 10 year warranty on the inox-radial heat exchanger. With a dimensions of 350x400x700mm and weighing just 35kg it is a particularly good boiler for those that want to save some space in the house! The boiler also offers the opportunity to be able to convert your boiler into an LPG boiler and to add additional features such as Vitotrol 100 control options, wired and wireless room thermostats and 7 day timers.